Below is a summary of my work as a product designer. 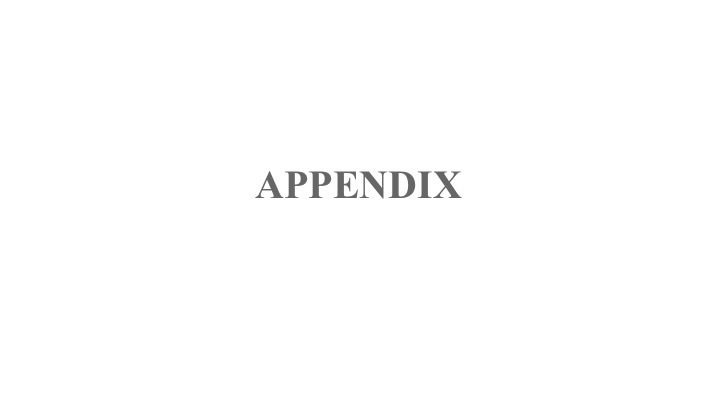 For a full list of capabilities, please take a look at this page. 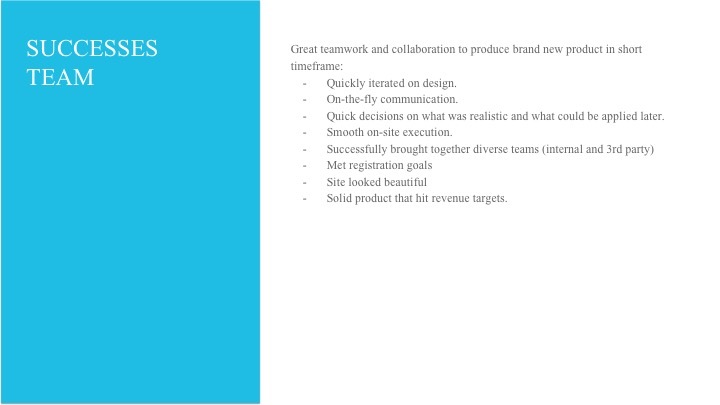 At Rodan + Fields I utilized all my skill sets as a UX Designer, Visual Designer, User Researcher, Data Analyst, Prototyper and Business Strategist for several micro products as part of the macro brand. 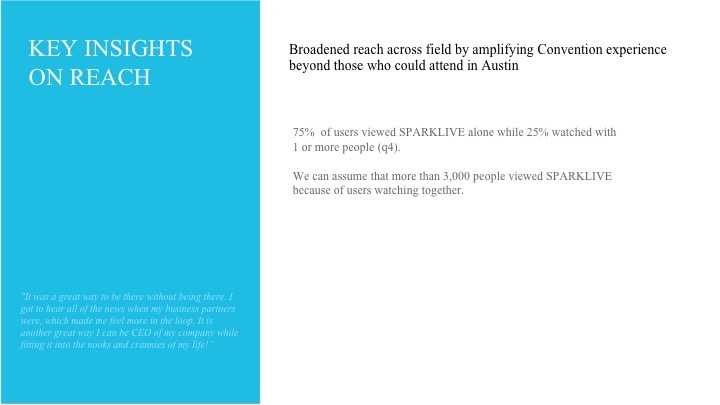 One I am especially proud of is SparkLive Virtual Convention, a website that streamed live and on demand video. 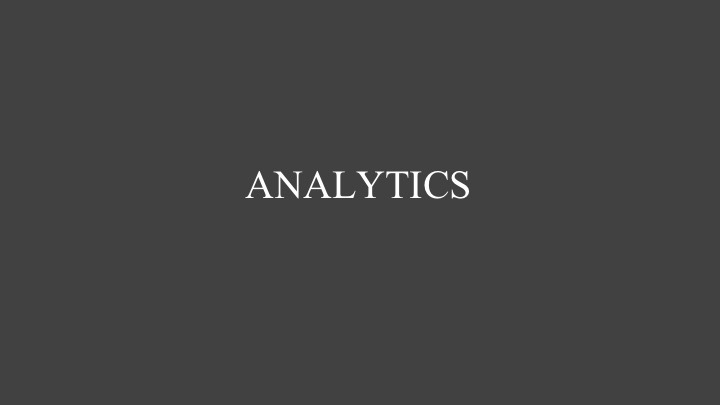 I was a thoughtful voice for the consultants (aka clients) by way of connecting to the consultants through open feedback and hosting several surveys. I reiterated products to suite their needs and built a roadmaps for an improved, sustainable product for long term success. Being on the Business Solutions team, I contributed fresh and innovative ideas focused on use cases and features that will appeal to the consultants. Thus create a happy experience, highly engaged product, and help build a more profitable business . My main accomplishment, SparkLive Virtual Convention. 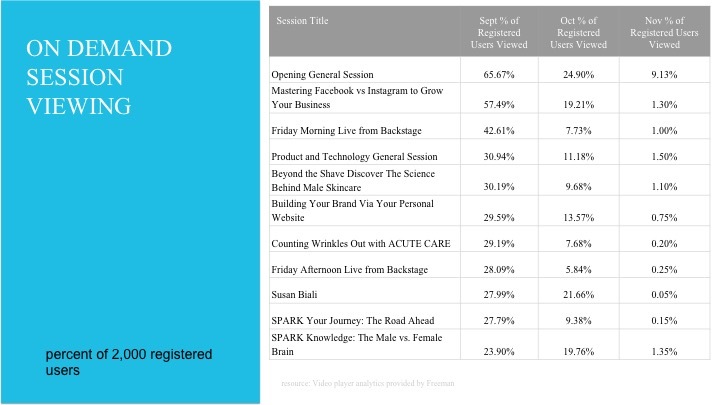 SparkLive is an annual convention for consultants to build connections, discover insights, empower entrepreneurial businesses and harness skincare innovations. 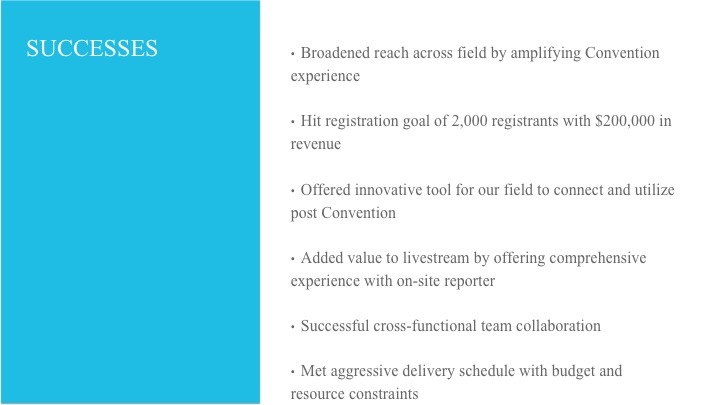 Many consultants can not afford this event. For most, this is a missed opportunity to take their business to the next level. Thus SparkLive Virtual Convention came into fruition. 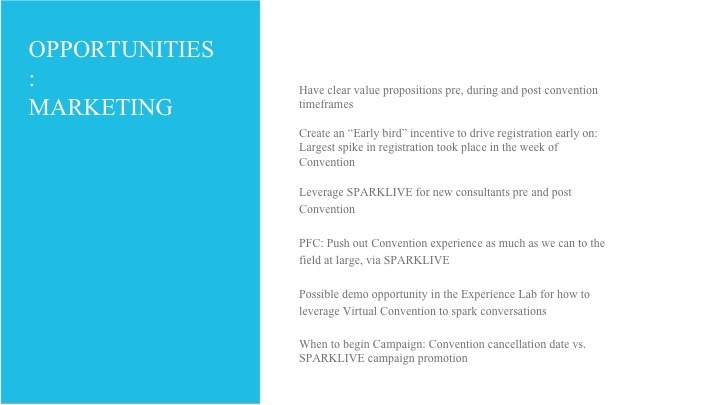 The objective is to make the experience of a traditional convention, SparkLive Virtual Convention available to everyone throughout the organization. The experience to almost be a virtual experience. To inform, educate, and engage etc. 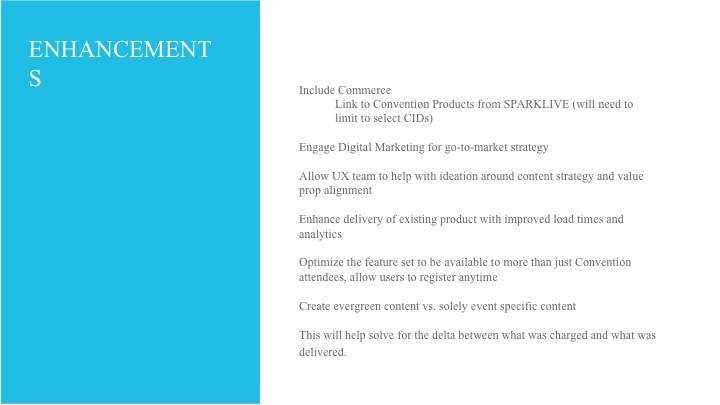 The execution of SparkLive Virtual Convention was a quick and swift process as it was a minimum viable product. 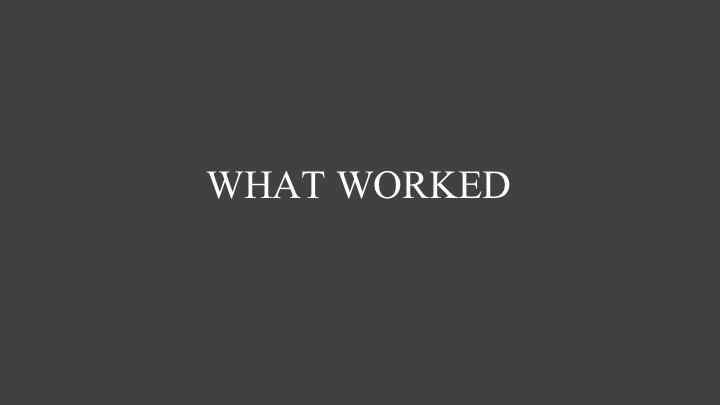 I had many site turnovers and revisions as we were reacting to real time feedback. As a product designer there was much to learn about this new platform we were building. 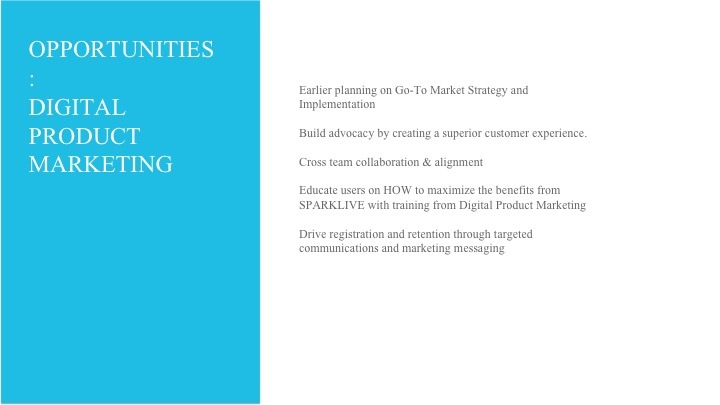 That in mind, I captured the consultant's feedback and delivered a summary report (SparkLive High Level Feedback and Findings) to the organization. 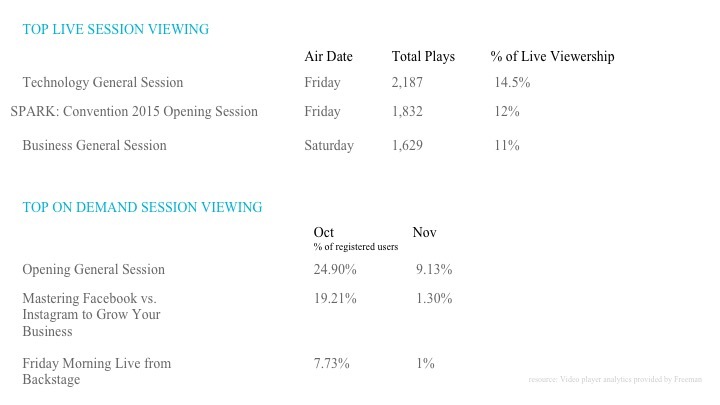 This report became the foundation for the next product iteration, this year's 2016 Sparklive Virtual Convention video experience. 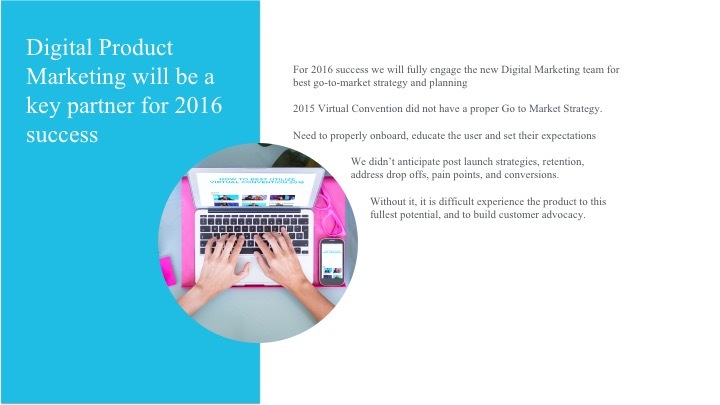 The follow up to my summary report was the digital roadmap. "Where do we go from here?" 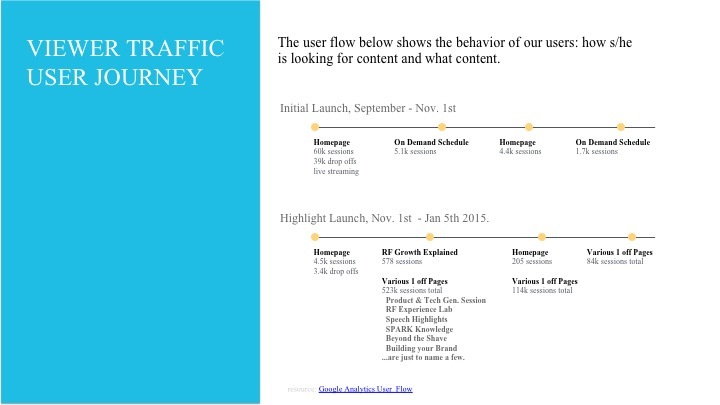 After synthesizing the site analytics, survey feedback, site performance, and content recommendation I developed a roadmap for the organization to have as a guide for an improved experience. 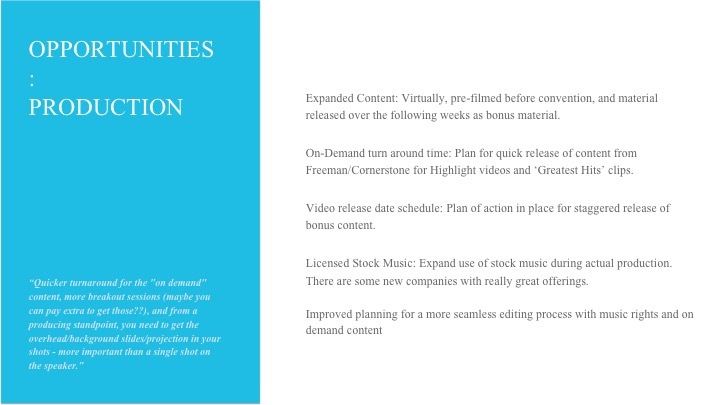 For all Rodan + Fields digital product work, look here.